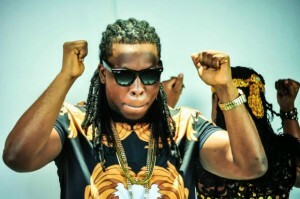 The VRMG Boss, Edem has worked with almost all the top Ghanaian musicians starting with Sarkodie, Kwaw Kese to Akwaboah. One of the most anticipated collaborations fans of the GoGetEm man are expecting is a joint with the No Media Hype man, Shatta Wale. In an exclusive interview with Dr Pounds on Pluzz 89.9 fm, Edem revealed to the public his failed collaboration with Shatta Wale and Patoranking some time ago. He also tackled Sarkodie’s collaboration with Ace Hood and what he wished should have been done with #NewGuy. Edem after his short review congratulated Sarkodie for breaking into the global market. Not ending there, he went ahead to reveal who his favorite rapper in Ghana is. Well, for most of you who think Sarkodie is Edem’s best rapper, i am sorry he just disappointed you. Let me give you a clue, Edem’s best rapper in Ghana is who Sarkodie some time ago endorsed in his Revenge Of The Spartans song. Enjoy the full interview below..